When public protests first began in Ukraine at the end of 2013, the failed promise of the Orange Revolution was still fresh in the minds of many Ukrainians. However, unlike in the aftermath of 2004/2005, the political and military crises ignited by the Euromaidan brought profound changes not only for Ukraine, but also for neighboring states and Europe more generally. The annexation of Crimea by Russia in March 2014, along with the outbreak of fighting in the Donets Basin, has resulted in a profound shift in how domestic and regional security is perceived. More broadly, these events have also called into question the durability of the post-Cold War world order, which had been based upon peaceful coexistence between states, the integrity of sovereign borders, and an acceptance of the legitimacy of international law. 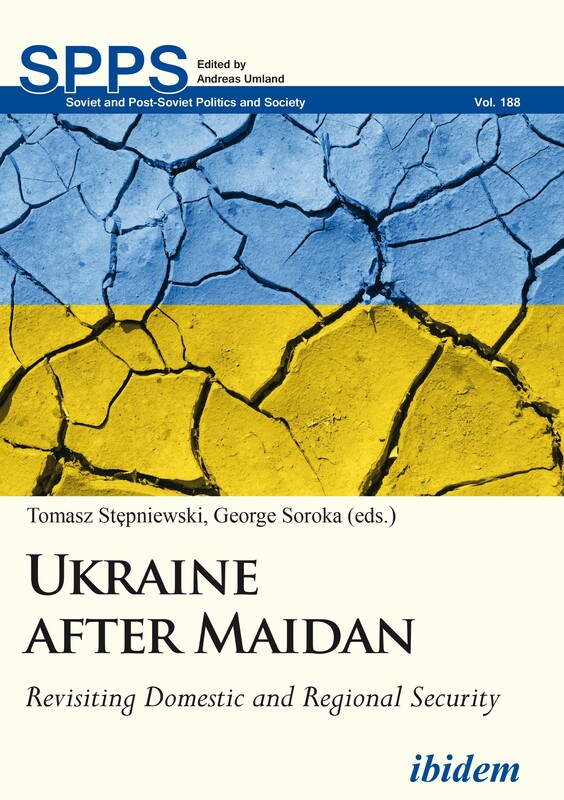 While the effects of the Euromaidan have already been analyzed in terms of Ukrainian politics and relations between Ukraine, Russia, and the EU, what has not yet taken place is a sustained analysis of how its legacies have reverberated throughout the post-communist region and wider Europe (and how these altered international perceptions have, in turn, affected the subsequent course of Ukraine’s domestic politics). Writing from a variety of viewpoints and backgrounds, this volume’s contributors seek to address these lacunae. Among other topics, they focus on Russia’s dissatisfaction with the post-Cold War international order, examine issues of ontological insecurity in an increasingly networked world, assess the limits of Western leverage, evaluate Ukrainian public opinion concerning NATO and the EU, consider the broader security implications of the Euromaidan for Eastern Europe, explore the role of migration and demographic factors for Ukrainian security, and assess how contentious pasts are being utilized as tools of statecraft by both Ukrainian actors and outside forces. Dr. Tomasz Stępniewski is Associate Professor of Political Science and Eastern Studies at the John Paul II Catholic University of Lublin. He studied politics and law at the Maria Curie-Skłodowska University as well as at the Catholic University of Lublin and was a visiting fellow at the Harvard Ukrainian Research Institute and Carnegie Moscow Center. His publications include: The New Great Game in Central Asia (Catholic University of Lublin Press 2012); Geopolityka regionu Morza Czarnego w pozimnowojennym świecie (Instytut Europy Środkowo-Wschodniej 2011); and Ukraina w stosunkach międzynarodowych (Maria Curie-Sklodowska University Press 2007). Dr. George Soroka is Lecturer on Government and Assistant Director of Undergraduate Studies at Harvard University, Cambridge, MA. He studied anthropology and religion at Drew University, Madison, NJ, as well as post-communist affairs and political science at Harvard, where he is affiliated with the Minda de Gunzburg Center for European Studies, the Davis Center for Russian and Eurasian Studies, and the Ukrainian Research Institute. His articles have been published in, among other outlets, Foreign Affairs, New Eastern Europe, and the Arctic Yearbook.